Roulette is the first game that people think of when they think about casino gambling. The image of elegantly dressed people crowding round a table and celebrating each other's wins is very seductive. Playing Roulette online on a 'traditional' Random Number version of the game is a fairly lonely pursuit, and a lot of the enjoyment is lost. With Live Dealer Roulette, the social side of the game is back in focus - not only can you see the other players, you can also chat (ok, flirt!) with a real life human croupier. The casinos below offer the best Live Roulette experiences you can find online, with smooth, lag-free video feeds, a great variety of Roulette versions and multiple tables - so there's never a problem getting a seat. And with up to 120 games a minute (at betfair) there's no waiting around between games! By far the best of our Live Roulette casinos, William Hill Live and Guts both use the excellent Evolution Gaming live feed, and offer exceptional table limits that will cater for even the most demanding high roller. In fact, in William Hill's elegant, London-style Salle Privée - specially designed for their VIP players and featuring exclusive dealers - the maximum bet on Roulette is an incredible £500,000! Before you take the plunge and dive into the Salle Privée, why not have a read through our recommended Roulette strategies - we've tested them all in real-life betting situations (good and bad!) so you'll have a good idea which ones give you the best chance to win. And best of all, they're completely free! Each game takes an average of 60 seconds, giving 60 games per hour. William Hill Live casino includes an elegant London style Salle Privée which is EXCLUSIVE to them and is especially designed for their VIP players. William Hill Live casino allows the largest bets online - up to £500,000. With numerous Roulette variants to choose from and fast action all day, William Hill Live is easily our number 1 recommended casino for Live Roulette. With a great variety of games and, in Speed Roulette, an extremely quick paced Live Roulette, betfair gives itself an edge over the competition. Add in low limit stakes of just 10p and betfair is a great choice for anyone looking to try Live Roulette for the first time. Each game takes an average of 75 seconds, giving 48 games per hour. InterCasino offers 2 Roulette tables, but each table has two betting limits, giving effectively 4 tables in total. 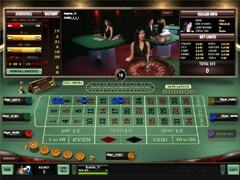 As with the other games, the betting limits encourage new players to try out Live casino games for the first time. 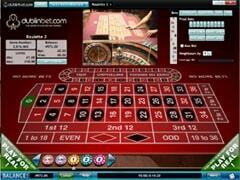 dublinbet has unlimited tables with differing stake limits for Roulette. Each game takes an average of 50 seconds, giving 72 games per hour. 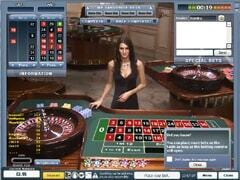 A unique feed from their own casino and rapid action games puts dublinbet at the front end of Live Roulette. Each game takes an average of 61 seconds, giving 59 games per hour. bgo Live Roulette has a staking range to suit all bettors and allows players to play either alone or amongst their peers.